As with all such efforts, this is still a work-in-progress which seems to gather more loose ends as I close old ones. Undoubtedly, further research will allow identification of additional relationships and thereby connect current "strays" to one of the main ancestral lines. I would greatly appreciate your help in adding further detail to the DUNSHEE Family History. I cannot claim this research product as totally my own, as many have generously contributed -- especially my wife, Carol Ann, and my brother, Kenneth D. Dunshee, who helped start this project over 40 years ago. A brief review of my bibliography will reveal a long list of other direct and indirect contributers. Early research took us to MANY courthouses, cemeteries, local libraries, as well as the National Archives, Library of Congress, and the library of Daughters of the American Revolution. Today, instead of spinning through microfilm from the Family History Center or State Libraries, we can easily view digitized copies on our home computer. I choose to keep my own website, and cite my sources, so any errors are my own and traceable. In this edition of my website, I have included more information about my other ancestral lines. As with my Dunshee study, I would appreciate help from, and I will share my additional information with, cousins that may find this site. I have not intentionally included sensitive information about any living person. If you find otherwise, please contact me and I will correct immediately. 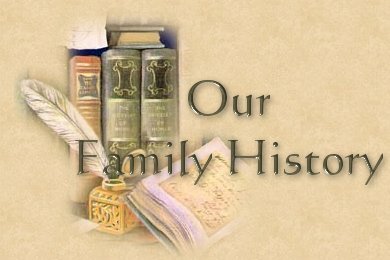 You might also check out Carol's "Danneman Family History" website.